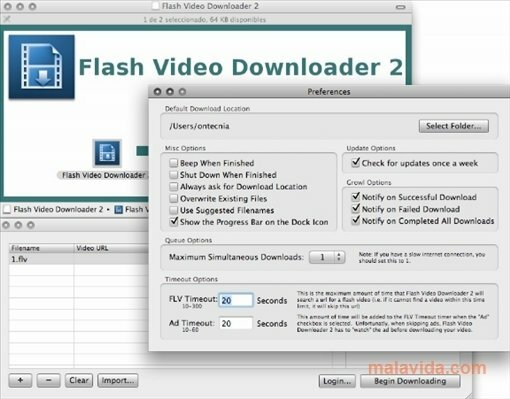 Flash Video Downloader will allow you to download any Flash video that you may find over the Internet. YouTube, Google Videos, Dailymotion, are some of the sites from which you will be able to download videos without any problems. This application can also download videos that require you to register on a website, or websites where a publicity video appears at the beginning. With Flash Video Downloader you will be able to download up to 5 videos at the same time, so as to improve the total download time. This tool will also guarantee you that the video will continue downloading even if the page changes. Among the main features we can highlight: the possibility to automatically check for new versions, to show the progress of each download, and the possibility to turn off the computer when the download finishes. 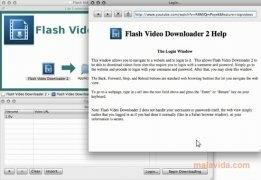 If you want to keep things simple when it comes to downloading Flash videos, try out this simple software with which it will be much easier for you to download your favorite videos.